Home » The Market Report: Should the dollar go back to the gold standard? The Market Report: Should the dollar go back to the gold standard? In a new book, Steve Forbes has advocated a return to the gold standard, warning that the implications of not doing so could wreck havoc on the economy. Forbes is far from the first person to push for moving back to a system in which the dollar is backed by gold – Ron Paul has been a vocal supporter for some time. With so much conversation swirling, our own Vince Miller and Will Hart give you some perspective: What would going back to the gold standard do for our economy, for the dollar and for gold? And perhaps more importantly, what are the ramifications if Washington fails to take action? 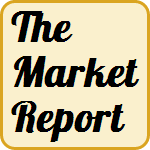 Mark Alyn: This is the Market Report from the Birch Gold Group. Hi, I’m Mark Alyn. Joining us in studio, Vince Miller from the Birch Gold Group and Will Hart, also from the Birch Gold Group. Gentlemen, welcome to the program. In the news, lately, we’ve been hearing more about the gold standard. In fact there is a new book by Steve Forbes who is talking about the gold standard. Let’s talk, and ask, what is the gold standard? What actually is that? Vince Miller: Good question. Mark, basically the gold standard is just a monetary standard where the basic unit of a currency is equal in value to the specific amount of gold that backs that currency. Actually, interestingly enough, currently no country uses a gold standard. Although we do know full well that Russia, China, India and other countries do hold substantial gold reserves. Mark Alyn: And Will, you had more to add. Will Hart: Well no, basically, you have to say, why are these countries hoarding all this gold? What is going on? I mean you have to kind of say to yourself, is something happening maybe that we’re not aware of? Mark Alyn: So these countries are stockpiling gold? Mark Alyn: When did we go off the gold standard? And, apparently, historically, gold has been tied to the dollar since the time of George Washington. Vince Miller: Yes it has. Ironically enough, in 1971 Richard Nixon took us off the gold standard. Interestingly, since then, gold has gone up 37 times in value and the dollar has lost about 84% of its buying power. Mark Alyn: Alright, you gave me some statistics. Now these are broad statistics. Gold, in the early 70s, was around $35/oz. Last time I looked it was going for about $1300/oz. That’s amazing. You had some more information on that though. Will Hart: Well, I think that what Vince is kind of pointing out is the fact that as our government continues to print, print, print, and obviously our government back then controlled the value of gold prior to Nixon before he took us off the gold standard, we were limited as to how many dollars we could actually print. Since then, of course, we’ve seen the devaluation of the dollar. The government, to the point now, which is why we’re sitting on a $17 or $18 trillion debt, the government has printed, printed printed and of course we’ve seen the costs of goods and services go up to equal those devaluating dollars. And in turn we see gold steadily climbing upward. Mark Alyn: At the same time, can we go back to the gold standard, Vince? Vince Miller: Theoretically, probably not in the historical sense of what a gold standard used to be. It used to be a dollar had a dollar’s worth of gold somewhere out there. I think if we were going to move to a gold standard, which would probably be the answer to fiscal responsibility. It would make the government be more responsible in terms of how much money they could print. I was reading an article from CNBC entitled “Return to the Gold Standard: Why the Price of Gold Could Actually Hit $10,000 an Ounce”. Vince Miller: Yeah, it makes logical sense. They basically mentioned, and one of the experts says, under the worst case scenario, the solution would be to return to the gold standard of the Nixon years. The price of bullion could actually be worth over $10,000, probably six times or more its current price. And the thing that nobody really knows for sure is where gold would actually go. We know that we have about 165 metric tons of gold, or about 25 grams of gold per person on the planet which would equal to about five gold rings a person. Really all we do know is that countries around the world, right now, as Will had said, are the ones hoarding gold. You got Germany a couple of years ago requesting or about a year ago requesting their gold back from storage from the U.S. and from France. You have China surpassing India as we had mentioned before on the show, surpassing India as the number one gold buyer of the world. You have India, obviously, a major gold player. Will Hart: And let me jump in here since, Vince, you brought up the fact that, Germany, repatriating their gold, basically, their gold was stored here in the United States, a large portion of it. And our answer was, you know, it’s going to take about seven years before you can get your gold back. Yeah, so that questions, wait a minute, if somebody tells you it’s going to be seven years before I get you back what I let you hold, it means they don’t have it. So, again, I got a question: Where is that gold? Mark Alyn: If gold goes up even double, or triple, where it is now, what will that do to the value of the dollar? Mark Alyn: And that’s the article I was referencing a few moments ago. Vince Miller: Yeah, and one of the things that he says in there, and to quote him, he says, “The Fed’s vastly misguided monetary policies are now setting the stage for a new economic social catastrophic event and one that could rival the financial crisis and the horrors of the 1930s.” He goes on to say that “the best way to achieve monetary stability is linking the dollar to gold.” And he also says in there that “the Fed should only have two tasks: keeping the dollar fixed to gold and dealing quickly and decisively with the panics. The refusal of many in the policy establishment to maintain the idea of the return to a gold standard is based on an astonishing ignorance about just what a gold standard would mean and how it actually works.” And that’s what Steve had to say on that. Mark Alyn: Would you advocate going back to the gold standard or some variation of it? Vince Miller: I think it would be a tight squeeze at first. But I think that in the long run it would fix a lot of the problems. Actually what I think it would do in the long run is I think it would bring the price of gold actually down. You wouldn’t need a global reserve currency. You wouldn’t need what they call portfolio insurance. You wouldn’t have to have a hedge against inflation. It would ultimately control inflation in the long run because they would have to be responsible for the amount of money that’s printed. They just can’t print money so at whim any more. And I think ultimately that that is one of the things that devaluing the dollar more than anything. Will Hart: You know, I do want to jump in. I actually think the other way. I think gold would actually go up. I think that for the amount of dollars, let’s just talk about here in the United States. For the amount of dollars for every person to have so that they can go pay their bills, pay their gas and buy their groceries and it were to be attached to gold, well we already know as Vince pointed out that there’s only 165 metric tons. That’s not a lot of gold, that’s like a 9 meter high cube filling up Wimbledon, as an example. It’s not a lot of gold. And so if you attach a currency to gold with the number of people here in the United States, I mean let’s look back to when Franklin Delano Roosevelt did it. He took all the gold that was out there in circulation, brought it in in 1933, melted it, then, with the snap of his finger, changed the price from $20/oz to about $35/oz, in essence doubling the value of that supply so that there were enough dollars so that everybody could have in our country. So, you take it, our country’s a lot bigger now than it was back in 1933. So, I don’t know, I take the perspective that gold is going to have to go, kind of like Steve Forbes is saying, really high. Mark Alyn: Will it adjust like Vince said? Will Hart: Yeah, the paper value would revalue. So, in other words, your gas wouldn’t be five dollars any more, it might be a dollar. In other words, it would stop that endless printing that the government is doing. So Mark, here’s what I wanted to point out. You have people that have worked their entire lives saving up, expecting these dollars to carry them into their golden years when they can’t work from 9-5 anymore. And you have our government eroding the value of what that dollar buys. So somebody their whole life saved up $200,000 only to find out that that $200,000 now only buys $100,000 worth of goods and services, as an example. Well nobody ever planned on that. So that’s why at least if we went to some type of backing, something backing the dollar, gold makes the most sense. Vince Miller: Well in 2001, a gallon of gas was about a dollar. So, today, it’s almost five dollars a gallon. So whether you think it’s going to go up ultimately on a gold standard or gold would go down, we have two schools of thought here and I think that’s what is so good about the idea. The real question though is: do you own gold? And I think it comes down to a system of belief. Mark, I think it’s really what do our listeners really believe? If you think that what the government is doing right now is fixing the problem and their fiscal initiatives are doing things to make things better in the long run, then you don’t want to own gold and you want to buy paper assets, you want to continue to hoard equities and paper and money and take that and put it in a tin can and bury it some place and that’s going to be the best strategy for that. But if you do think that it is getting worse and it’s going to get a lot worse before it gets better than it would behoove you not own the metal. And the one thing that I would say is along the lines of what Will just mentioned about FDR and 1933. When he confiscated the gold in the United States, one of the things that America started doing was buying up the world’s gold supply. Ultimately, it was the thing that pulled us out of the Great Depression and it is the thing that restored America, being on the gold standard, buying up the world’s gold supply, and having the gold in our possession, putting the gold, and eventually silver, in Fort Knox and keeping it in our possession is what gave us the credibility again. And if you as an individual want to pull yourself out of the economic rut, and if you’re afraid of devaluation, then one of my clients recently went to Costco, bought a gun safe. His goal was to fill it up with as much physical gold and silver as he can and literally become his own Central Bank. So the real question is: Do you have gold? And if you don’t, why don’t you? Mark Alyn: Now is the time to buy gold and gold, with your concepts, seem to me to be a long-term strategy. You don’t buy gold and sell it off like you would a day trading kind of a deal with stocks. Vince Miller: No, you don’t buy gold money to make money, you buy gold to protect it. Mark Alyn: And to save it. Vince Miller: Well, you buy gold to preserve against dollar devaluation in an inflationary environment. So if you think inflation is going to get worse, then you want to protect your dollars in metal. Will Hart: Here’s a way to look at it, Mark. If our listeners would look at it like this, if you in your backyard, took a hundred thousand dollars in cash, a hundred thousand dollars in gold, and you asked them, you have a choice: you can either bury in your back yard this bag of cash that’s water tight, or the gold. I’ll tell you right now, everybody that I’ve ever talked to will always choose bury the gold. Mark Alyn: I would, there’s no question. Alright, last topic that I want to cover. We go back on a gold standard, what would that do to inflation? Vince Miller: Well I think it would bring everything down. I think ultimately the cost of goods, products, and services would come down in price because there’s not so much printing of money. It’s obvious. If you have, say, a trillion dollars in the money supply, which of course you know we have a lot more, and let’s say dollars, I mean, you have a trillion dollars going after the same amount of goods, products and services, it’s going to keep it at a certain level. But let’s say you add another trillion and now you have two trillion dollars going after the same goods, products and services, obviously, the only thing that’s going to happen is you’re going to have to increase the price of those goods, products, and services because now you have more money chasing after the same amount of goods, products and services. Simple supply and demand. And as the dollar continues to be printed, it loses its value the more you add to it. Mark Alyn: And the more we print the less value the dollar has. Vince Miller: And if we were going to go to the gold standard, I don’t think it’s going to be a true gold standard in the historical sense. I believe it would be something more like a basket of metals. They probably don’t have enough real gold and even if they did they probably wouldn’t want to use it to back all the dollars. They’d probably go to a basket of metals. Will Hart: Or if they ended up only choosing gold, then obviously that price of gold would have to be dramatically increased in value. Mark Alyn: Gotcha. Going up to that $10,000. Vince Miller: And either way you look at it. Mark Alyn: What we’re saying then, is going back to a gold standard, even that basket of gold, will bring prices down, eventually, it will reduce inflation, and it will stabilize the monetary system here in the United States. Will Hart: That’s what they’re saying. Mark Alyn: That’s what they’re saying. Well if you have a question for us, you can ask us by emailing us at info@www.birchgold.com, that’s info@www.birchgold.com. Visit our website because there’s lots and lots and lots of current information about gold at www.birchgold.com, go to www.birchgold.com. And of course you can always call one of the gold specialists at Birch Gold. Call them at (800) 355-2116, (800) 355-2116. I’m Mark Alyn, we’ll see you on the next Market Report. Bye-bye for now.